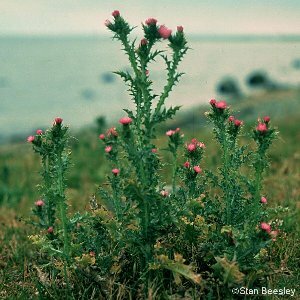 This is a rather slender thistle with a broad wing to its stem, and a pale blue flower head. 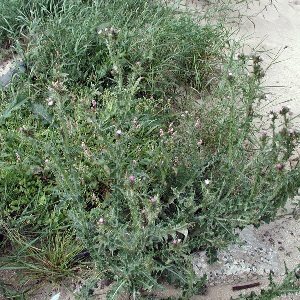 Most frequent around the coast in disturbed sandy soils, especially frequent in Co Down. All names: Carduus tenuiflorus Curtis; Carduus pycnocephalus auct.